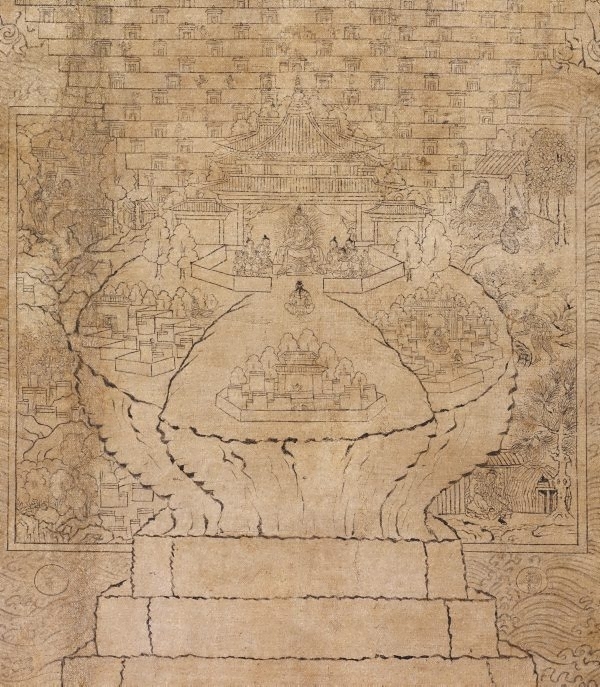 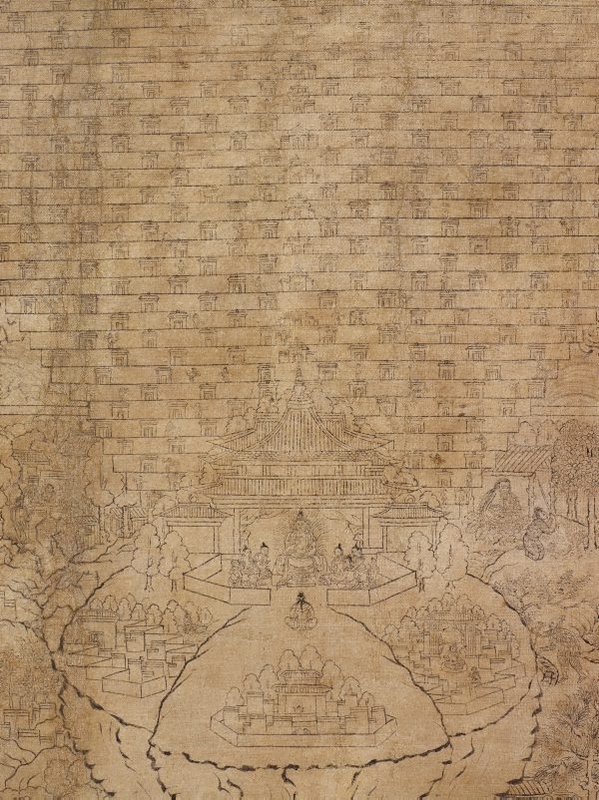 This painting of the cakravala (world system) represents the Buddhist view of the world as expressed in Buddhist texts. 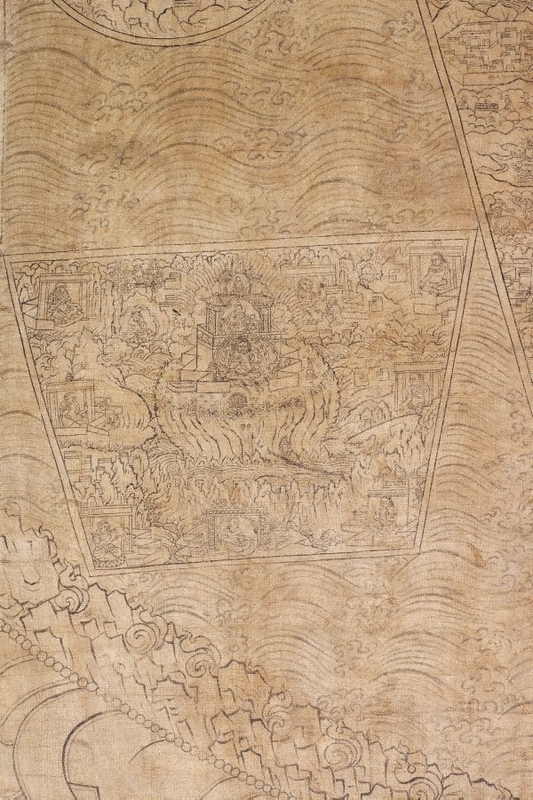 The image shows Mount Meru at the centre of the universe surrounded by mountain ranges, oceans, continents, celestial bodies (e.g. 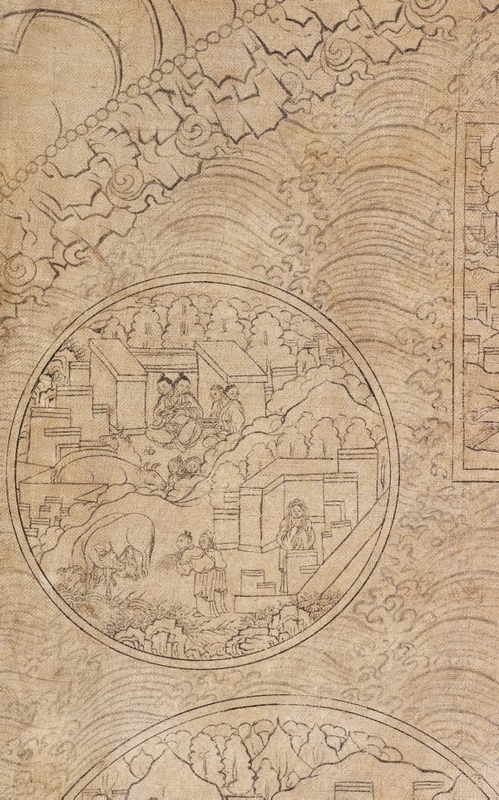 sun and moon), and heavens in great detail. 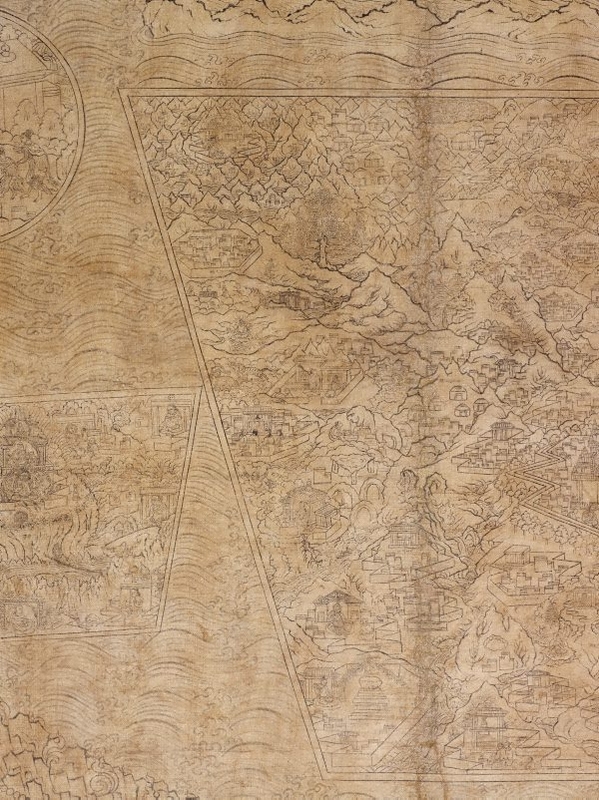 Many of the locations on this cosmological map are actual places. 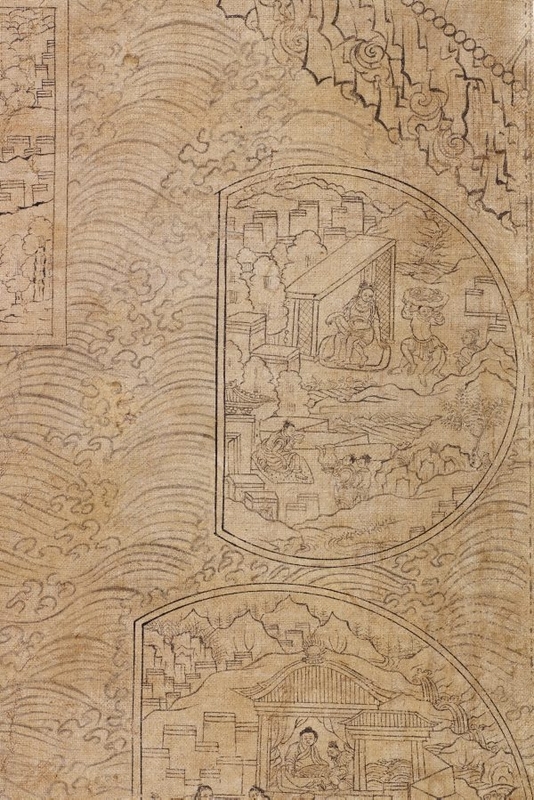 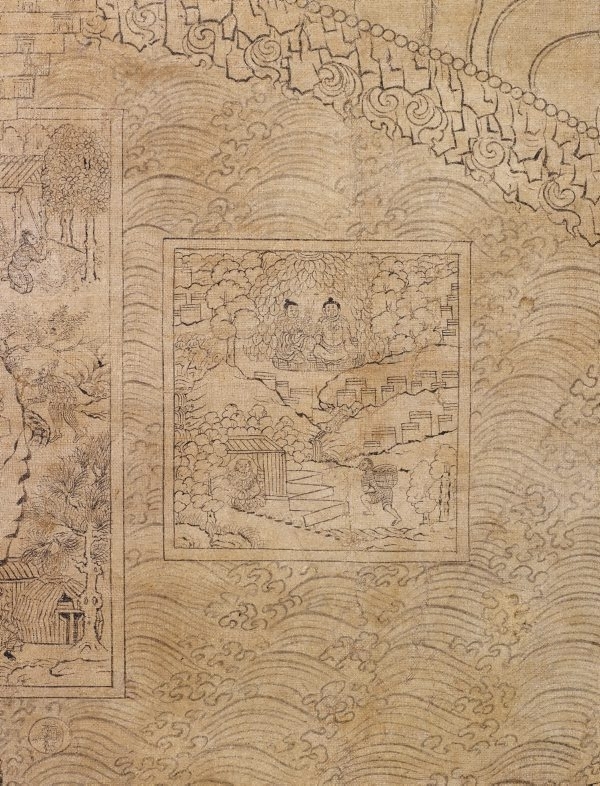 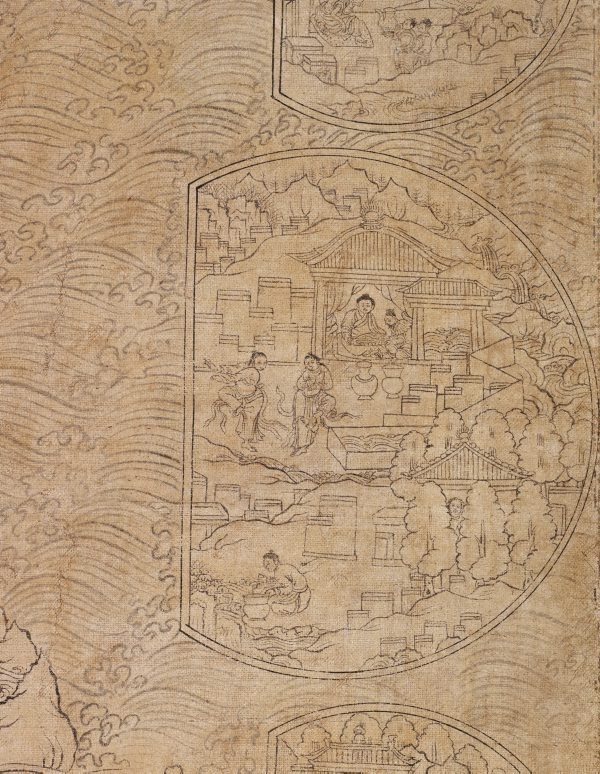 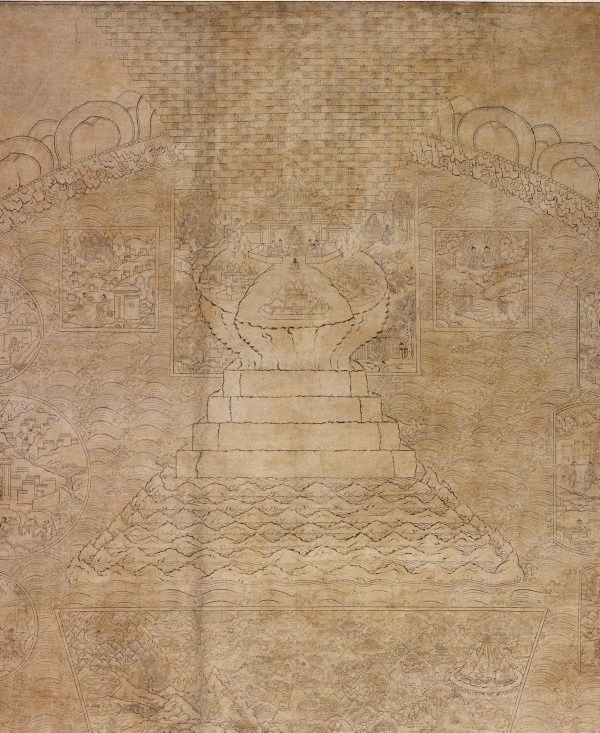 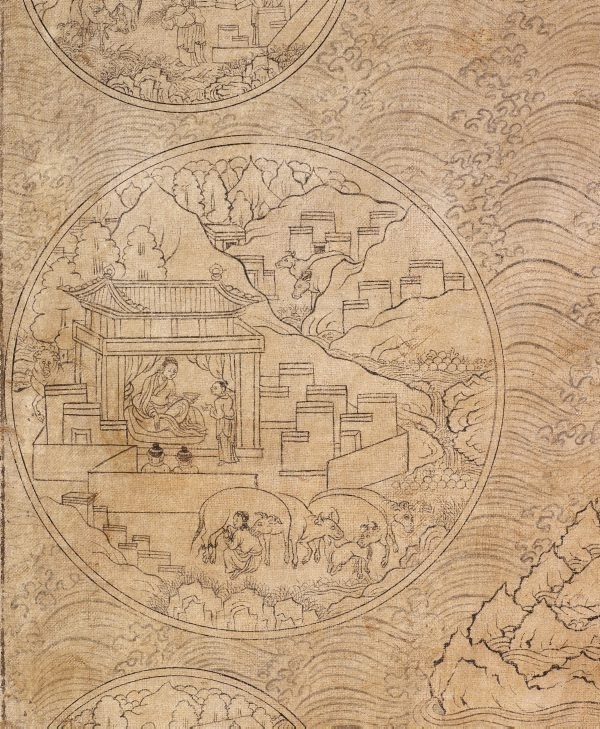 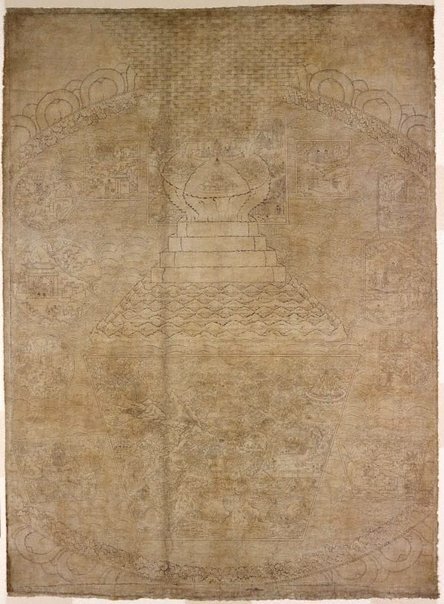 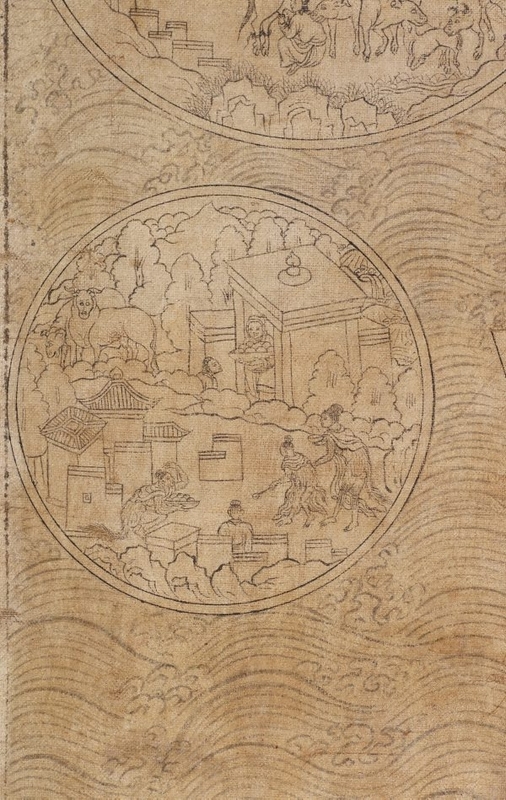 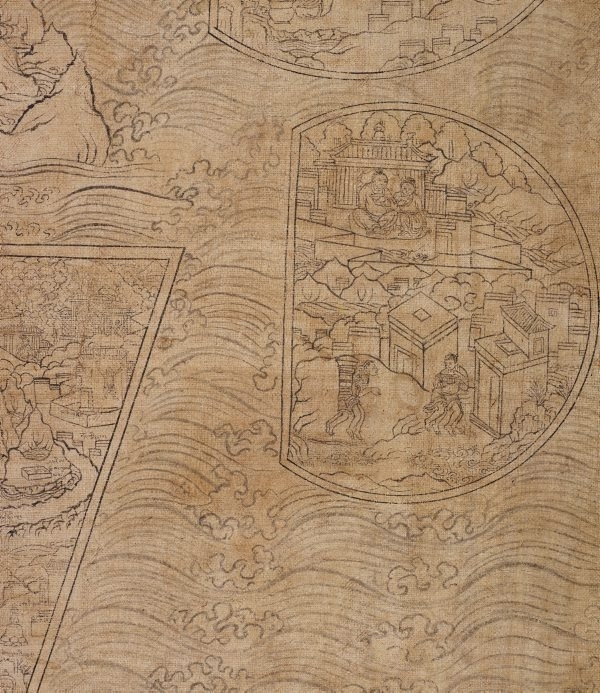 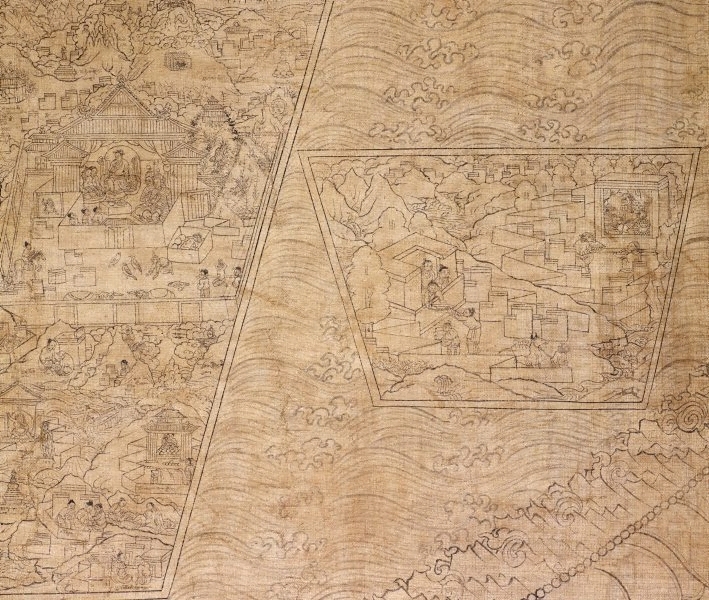 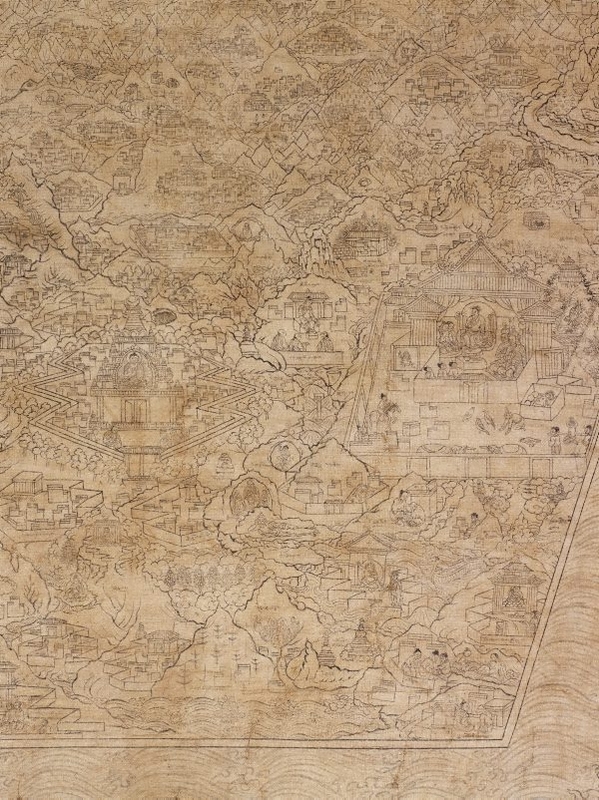 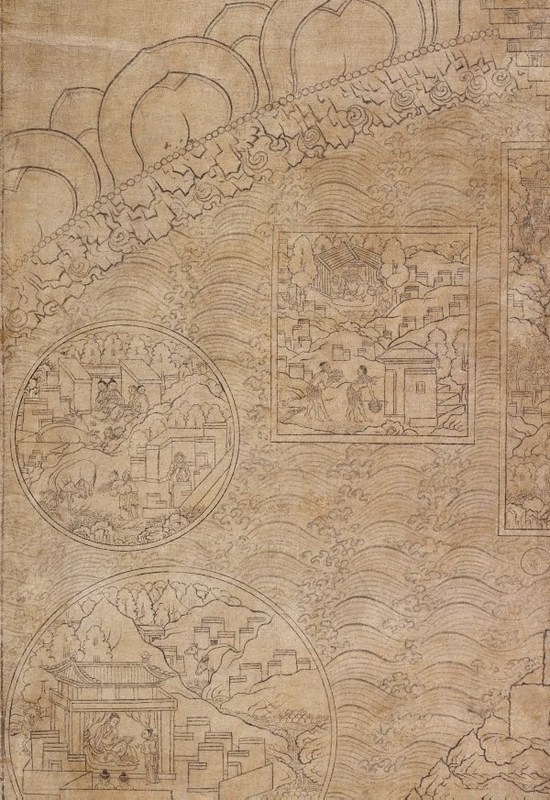 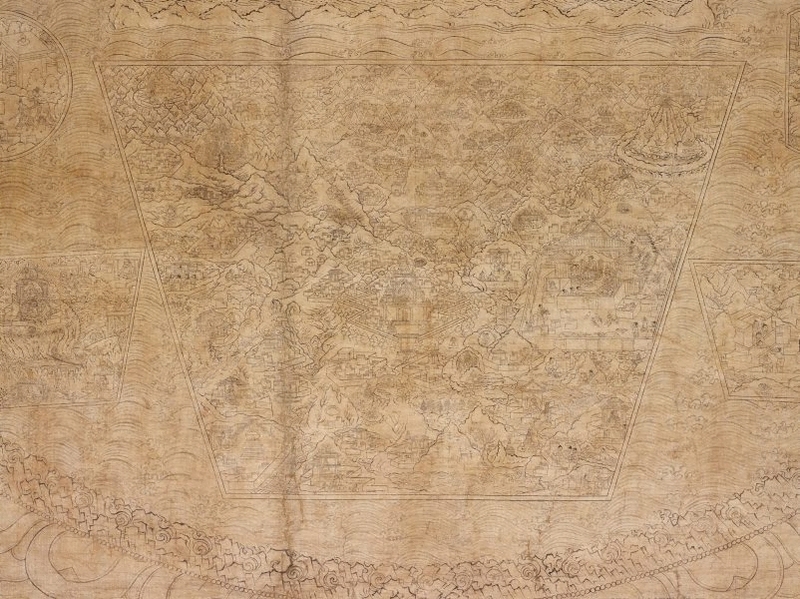 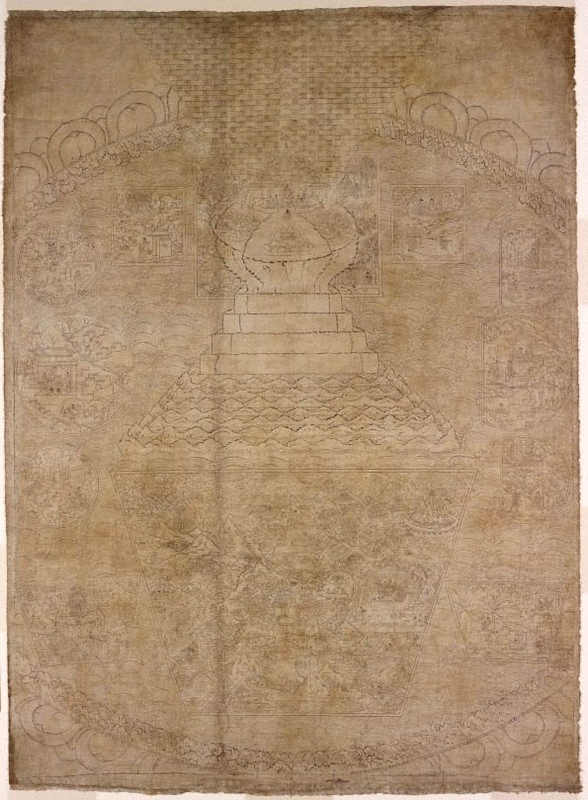 Eastern Tibet and Sichuan province in China are shown in the most thorough and accurate manner, suggesting the region from which this painting originated.